Joyland is set to mark 70 years of trading with a special charity event, explains the park’s director Michael Cole, who reports that just a few weeks in to the 2019 season, trading is already off to a “strong start”. 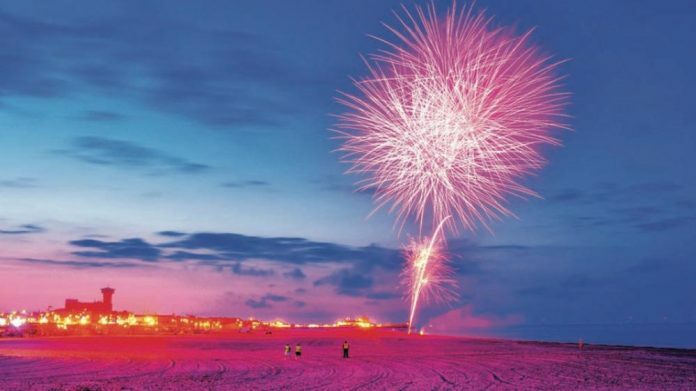 Great Yarmouth is set to benefit from the uncertainty surrounding Brexit according to a report which shows the town ranks in the top 20 destinations for Brits going on holiday during the Easter period. The figures released by Travelodge show 67 percent of Britons are passing on holidaying abroad and supporting British tourism this Easter. “Trading has been quite steady, we had a very good year in 2016, while footfall dropped off a little bit in 2017 and 2018, this wasn’t that significant,” said Michael Cole, a director at Joyland Amusement Park in Great Yarmouth. “We’ve had a surprisingly strong start to 2019, we’ve been open now for a fortnight, and we’ve got the season off on the right foot, it hasn’t been too bad at all. “We’re now open every day right the way through to the end of September and I’m quite hopeful it’s going to be another steady summer. Nearly 60 percent of respondents to a recent snapshot survey at the Norfolk and Suffolk Tourism Awards stated that that Brexit had not impacted their day-to-day activities in any way at all. However one in five of the 21 businesses questioned said that due to the political uncertainty around the Brexit negotiations they were holding back from making further investment into their businesses for the moment. Meanwhile it’s business as usual at Joy- land, with the park set to organise a charity event as part of its 70th anniversary celebrations this year. “The park is celebrating its 70-year anniversary in 2019, we opened in 1949 and we’ve still got two of the original rides, the Snails and the Tyrolean Tubs – which is the only remaining operational Virginia Reel roller coaster in the world – both of which remain very popular,” Cole continued. “To mark the occasion we’re looking at organising an event in support of our chosen charity, the Children’s Hospice in Quidenham, which is part of EACH (East Anglia’s Children’s Hospices). Cole notes that events such as July’s Great Yarmouth Wheels Festival – which Joyland organises in conjunction with the borough council and the Great Yarmouth Tourism and Business Improvement Area (GYTABIA) – have also done a lot to help drive business. “We do three or four quite big events during the course of the year which really give us an additional boost,” Cole explained. “We’ve been running Wheels now for four years and it’s just got bigger and bigger. I think last year we had 25,000 to 30,000 visitors per day. The idea is to do it on a week- end where it’s not always very busy to act as an additional catalyst for visitation. While he acknowledges that the GYTABIA – which is due to come up for a re-vote this year – has been controversial for some businesses in the town, Cole contends that it has helped generate additional footfall. Back in 2014, 85 percent of businesses in Great Yarmouth voted to create England’s third BID resort following Southport and Bournemouth. “The BID has definitely helped us, although I’m aware that there are a percentage of businesses that don’t agree with it, given that it represents an additional levy. But I do believe that without it, a lot of the events would suffer,” Cole argued. “We have a firework display on Wednesday evenings for six weeks during the main school holidays in July and August. Without the BID funding, that wouldn’t go ahead. Those evenings are head and shoulders the busiest nights of the whole week during that period, and that’s purely because of those fireworks. Despite this, while he is generally positive about the local government, Cole notes that the one area where the council could do more to support businesses is parking charges. “Parking is a very big issue in Great Yarmouth. In my view, the current parking charges are too high. A number of seaside towns in other areas have some days where they offer free parking, but we don’t do anything like that here. It certainly would help if there was a reduction in charges from the current level,” he concluded.